WestPoint Home has continued the long history of waste recycling established by WestPoint Pepperell and WestPoint Stevens. WestPoint Home strives to recycle every recoverable type of textile waste, including yarn, rags, fibers, batting, etc. We also recycle metal, cardboard, plastic, drums, tote tanks, and other items. Last year, our Chipley, Florida plant was able to recycle 88% of the waste that it generated and our large Bahrain Complex recycled 80% of its waste. In 2016, we used 1,937,142 pounds of recycled polyester fiber that was made from the equivalent of 34,868,556 16oz. bottles. 1 recycled plastic bottle powers a 60 watt light bulb for 6 hours. Our recycled polyester saved enough energy to run a 60 watt bulb for 23,882 years. The WestPoint Home Chipley Plant also uses corrugated cardboard made from 35-50% recycled material and 85% of the fiberfill used to make our comforters and pillows comes from recycled PET bottles. 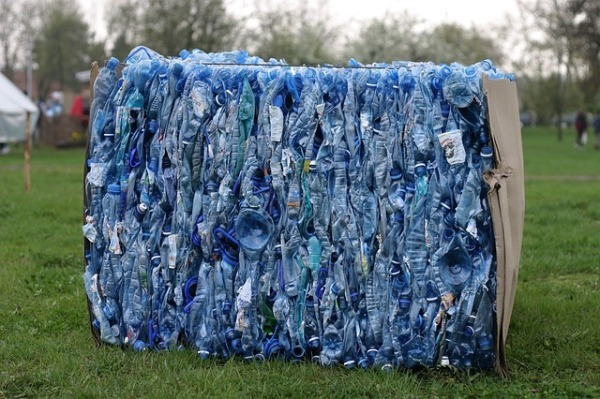 For example, the recycled batting in a Nate Berkus or Shabby comforter prevented 25 two-liter soft drink bottles from being sent to the landfill. In 2016, the recycled fiber at our Chipley Plant totaled 1,937,142 pounds – the equivalent of 34,868,156 sixteen ounce soft drink bottles. This saved 7166 cubic yards of landfill space and saved the energy equivalent of 24,283,625 cubic feet of natural gas. In 2015, the Chipley Plant was the fifth largest user of recycled polyester in the group of 89 companies who responded to the Textile Exchange’s 2015 Preferred Fiber and Materials Benchmark survey.